Recent clinical trials show passion flower benefits include treating anxiety, improving sleep and treating insomnia. Recent clinical trials show passion flower benefits make it one of the most valuable and effective herbal anxiety remedies. Passion flower (Passiflora incarnata) is a climbing shrub native to the tropical parts of the United States which produces a beautiful, delicate flower that develops into a large, fleshy fruit. Traditional herbalists enjoy a number of passion flower benefits, using it, for example, as a sleep aid, especially when patients complained of restlessness and interrupted sleep due to exhaustion. Recent clinical trials using passion flower show it is also one of the most valuable and effective herbal anxiety remedies in addition to its usefulness in improving sleep and treating insomnia. Passion flower anxiety benefits have been found in human studies. [1,2] Single doses of passion flower extract have been found to decrease anxiety in patients about to undergo surgery, indicating passion flower is beneficial in times of acute anxiety. One placebo-controlled trial involved 60 patients heading to surgery. Thirty minutes before receiving spinal anesthesia, baseline anxiety levels were assessed. Patients were then randomly assigned to two groups: passion flower extract or placebo. Anxiety levels were re-tested just before surgery and those who had received passion flower were significantly less anxious. No side effects, sedation, or affects on muscle activity or mental process occurred. Another clinical trial found that passion flower benefits can make it is as effective as the benzodiazepine oxazepam for generalized anxiety disorder. This 4-week double-blind study of 36 individuals with generalized anxiety disorder compared passion flower to the standard anti-anxiety drug oxazepam. Half the participants received 45 drops a day of a standardized liquid passion flower extract while the other subjects received 30 mg of oxazepam. Although oxazepam worked more quickly, both treatments were equally effective by the end of the trial. Not only that, but passion flower was superior in terms of side-effects: oxazepam caused more job-related problems such as daytime drowsiness. Passion flower is a safe herbal remedy for children and teens as well as adults. 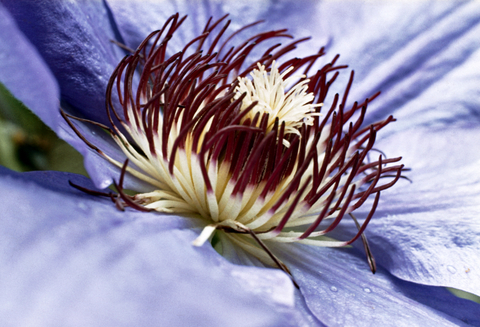 Accomplished herbalist and naturopathic physician, Dr. Mary Bove, endorses passion flower for stress in children. Dr. Bove is the author of the Encyclopedia of Natural Healing for Children and Infants and is considered an authoritative reference on natural pediatric medicine. Studies have also found that one of the benefits of passion flower is improving sleep quality and can be an effective treatment for insomnia. In one study, 41 subjects drank passion flower tea or placebo tea every night for a week before going to sleep. Sleep quality was rated as significantly better in those drinking passion flower tea compared to those drinking placebo tea. Passion flower may be even more effective for insomnia when combined with other herbs. The combination of passion flower, valerian, hops, and lemon balm is a common formula used by naturopathic physicians for inducing sleep. One double-blind, randomized, controlled trial compared the drug zolpidem (Ambien) to a combination of passion flower, valerian, and hops extracts in patients diagnosed with insomnia. For two weeks, 78 subjects were treated with either one tablet of the passion flower combination or a standard dose of zolpidem at bedtime. Read more about insomnia here and discover more natural strategies, such as using music to get to sleep and drinking tart cherry juice. If you want to try a passion flower supplement for anxiety, a tincture (liquid alcohol extract) or passion flower tablets are recommended. To use passion flower for sleep, look for it combined with hops and valerian, and possibly with lemon balm as well. Since these preparations are sold in various strengths, take the dose recommended on the bottle as a starting dose. Stress, anxiety, and poor sleep don’t have to rule your life. You can get these problems under control with natural medicine. In many cases, a more comprehensive approach, using other nutrients, dietary changes, and lifestyle changes will enhance the effectiveness of herbal anxiety remedies like passion flower. Share your thoughts on passion flower benefits in the Comments section below. Indian J Pharmacol. 2013 Jan-Feb;45(1):34-9. GaiaHerbs. 2012 Oct 12. Web. 2014 Jan 1.
acute anxiety, alcohol, anti anxiety, anxiety, anxiety and depression, anxiety disorder, anxiety in women, anxiety remedies, children, conquer stress, depression, depression symptoms, difficulty sleeping, generalized anxiety, generalized anxiety disorder, herbal anxiety, herbal anxiety remedies, herbal remedy, herbalist, insomnia 2, insomnia research, interrupted sleep, lavender, lemon balm, muscle, music, natural healing, natural medicine, natural remedy, natural remedy for anxiety, natural remedy for anxiety and depression, naturopathic, naturopathic physician, nervousness, nutrients, passion flower, passion flower anxiety, passion flower benefits, passion flower extract, passion flower for anxiety, passion flower for sleep, passion flower supplement, passion flower tablets, passion flower tea, poor sleep, primary insomnia, remedy for anxiety, restful sleep, side effects, signs of anxiety, signs of anxiety in women, sleep, sleep quality, stress, stress anxiety and depression, stress relief, supplement, treating insomnia, treatment for insomnia, what does anxiety feel like. It’s nothing short of amazing how many very different imbalances or deficiencies can cause very similar symptoms. Amazingly, it has even been found that for some people getting too much Omega-3s by taking a fish oil capsule every day can make it difficult to sleep soundly through the night. Although I have not found much in print or on the Internet about this, I have personally found that taking a glycine (amino acid) supplement is by far the best tension reliever and sleep aid that I have ever tried. It’s sweet tasting, so every night about half an hour before going to bed I empty two 500 mg capsules of glycine powder under my tongue so it goes directly into my bloodstream without having to work its way through my digestive system. I would be very interested to hear if any other readers of this article have experienced similar tension-relieving effects of glycine. Glycine is an amino acid that is also an inhibitory neurotransmitter. There are a lot of anecdotal reports and some published case studies of sublingual glycine being beneficial for insomnia, anxiety, and panic attacks. Beyond that, the research is lacking. But I’m intrigued. I’ve never tried sublingual glycine myself, nor have I recommended it to any of my patients. Since I have sleep issues myself sometimes, I’m going to try it. I’ll let you know if it works for me. Does it Have to be an extract? I have been taking glycine for a few weeks now. I am also giving a level teaspoon of powder to my 15 year old daughter and she can testify to a much better sleep than before. Has anyone evaluated the safety of using Passion Flower while also on a beta blocker such as Propranolol? I have generalized anxiety that is incredibly debilitating as I am homebound mostly due to it. The Propranolol is due to high resting heart rate and skipping beats. I was on prescription anxiety medication for years but weaned off due to significant memory loss. I am unable to manage my anxiety effectively on my own despite lifestyle changes including meditation and therapy. Passion flower was suggested by a nutritionalist but I am not sure if it is advisable to take with the beta blocker. I have taken xanax with the beta blocker before without issue. Passiflora have very excellent results for treating Anxiety, Stress and all kind of phobias such as sexual performance anxiety, Fear of death, Fear of diseases, Restlessness, Insomnia and improve other mental health problems, You can take early dosage of Passiflora Q. about 40 to 45 drops before go on bed time. When I was young I used passionflower tablets to relieve my debilitating anxiety. I can honestly say that it is the only reason I was able to actively participate in life. I have since learnt to manage my anxiety so that I am rarely affected by it, but I would highly recommend it for anyone suffering the debilitating affects of it. Thanks, it has been fixed! I cannot find tincture here. how much would be the dose in mg for middle night insomnia? I am waking up in the middle of the night at 4 AM! Help please. Thank you.